April Kennedy...My Life + My Style: WHO'S YOUR SECRET SANTA GOING TO BE THIS YEAR? WHO'S YOUR SECRET SANTA GOING TO BE THIS YEAR? Every year we try to pick a family or individual that we can share the magic of Christmas with by providing some gifts of need. Sometimes it is an "ornament" off the tree at our bank with a child's age, clothing size, and 'wished for' toy. Other times it has been a family who we know is short on cash that year and have left a goodie for each one of them in a red santa bag on their porch on Christmas Eve. No matter which we choose it is always exciting to share the magic of Christmas with someone in need. While scrapbooking this weekend, two sisters were talking about their tradition of buying blankets around the cold season and then walking our town with their children to hand to the homeless. Can you imagine the thought of a warm blanket while sleeping on the cold streets. It warmed my heart. They also told of how their mother will randomly go buy breakfast sandwiches from Jack-in-the-box and then drive to the local shelter and roll down her window and yell, "come get a breakfast sandwich....I have a few extra!!!!" They had been taught well by their mother's Random Acts of Kindness and I could hear their excitement while they were talking about buying the blankets. It got me excited again about the Secret Santa program that we particpated in for this Christmas season. This year, for our Secret Santa gift, we participated in the program One Laptop Per Child. 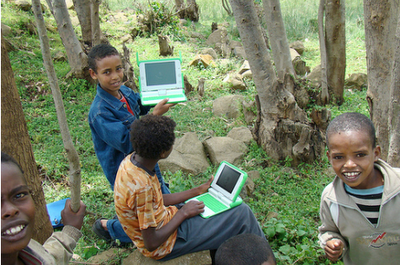 Their whole mission and purpose is to get a laptop into the hands of every child in emerging countries across the globe. Every. Single. Child. 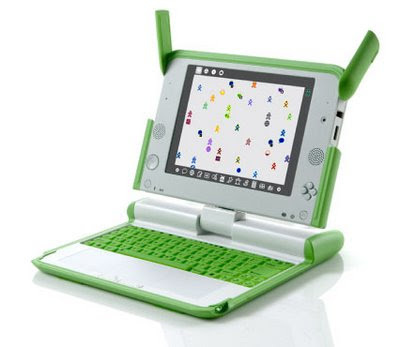 OLPC understands how a computer can give advantages and offer opportunities in a life-changing way. Who's your Secret Santa gonna be this year? I would love to hear of your family's tradition of giving during this beautiful time of year. Have I told you "MERRY CHRISTMAS"....yet? MERRY CHRISTMAS! I heart December. This warms my heart! I love hearing how others give during the Christmas season. We always participate in Operation Christmas Child and make two or more shoe boxes. We've also helped with the local Caring & Sharing and done a few secret "missions." 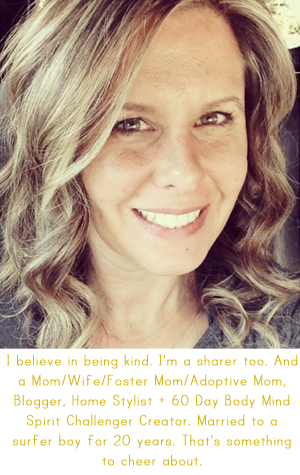 It's so fun to brighten other's Christmas & I hope to leave that legacy for my children. wow- that's really cool! i go to the main post office in manhattan where they have a dear santa program that people in need can send letters to. i pick a letter and then email my whole family all over the country to send gifts to this family from all over. we all love knowing they are probably elated and overwhelmed at not only having thier needle in the haystack answered, but usually more than they imagined. it's one of my favorite parts of the season! Oh that reminds me, I have til tomorrow to get mine finished. I have a young girl whom wants some scrapbooking stuff. Going to be some fun shopping.